Wow! This is wonderful. You certainly have learned a wealth of information. This is another reason why I keep my membership to Ancestry.com. You never know who may hold the answers you need. I’ve found a lot on FamilySearch too. The combination works well for me. I forgot to mention, but I’m going to look them up in old newspapers too. Takes a lot of digging and luck, but it’s worth it to me. 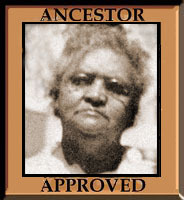 I think it’s wonderful that you are able to find this information on your Ancestors. Your well documented research and the tools you use is very helpful. Thank you for sharing. Thanks Bernita, I’m so glad so much is available online now. And that someone mentioned probate records were on familysearch.org! This is awesome! What a great find. It is always good to circle back and revisit our previous research. I have begun to do that more often myself. I am so excited for you! I look forward to learning more! Thank you for sharing! It is good to take a second look. Sometimes I’ve forgotten that I already found some information I spend more time looking for. Not so much now that I organized my records, but still, I forget what’s there if I don’t look. And also I see old records with new eyes when I find a new record. 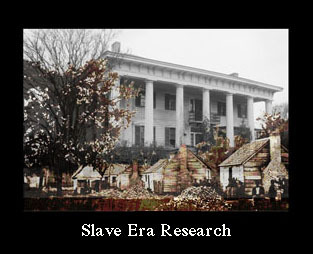 I never thought to set up a separate tree for slave owners to get hints. Will do that…thanks for the tip. And what a coincidence because I found out last week that my 2x great-grandmother on my mother’s side was also gifted to the slave owner’s daughter when she married. I am also interested in that tradition. I hope you will write about it. If I could just figure out how to word that tradition for google! I will surely write about it once I find it. Oh, that is good. Now I guess I need to look for dowrys for my slave holding families. Thank you! What a great find and thank you for sharing. I think the moral of this particular story is the value of going back over our research and checking for new information, You could happily have decided the job was done based on your assumption of transfer to David and been none the wiser. great research as always. Yep. Never stop until you are sure, I guess that’s the lesson.